Mrs. Gwen Cadman, a computer operator at Fletch North. 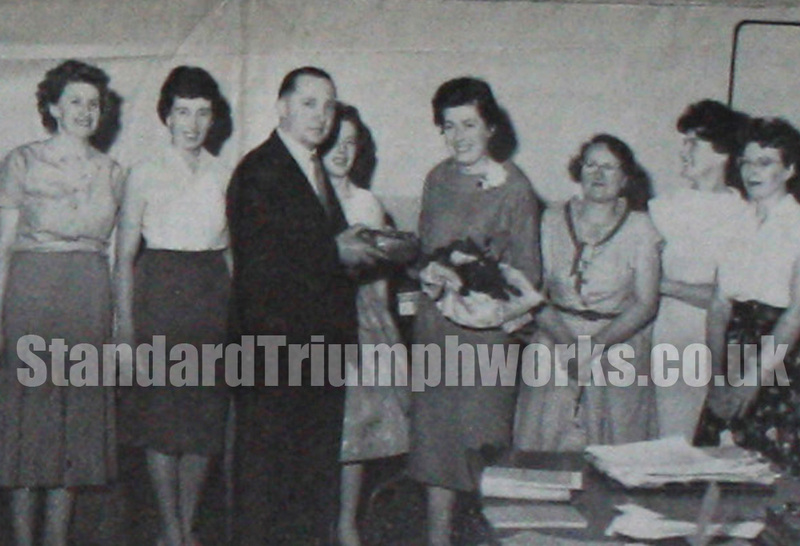 Mrs Gwen Cadman receiving a bouquet and cut glass bowl presented to her by Mr George Scrivens, Wages Executive, on behalf of all her friends in the Wages Department when she left the Company recently. Gwen joined the Company at 14, was with us for 11 and half years.